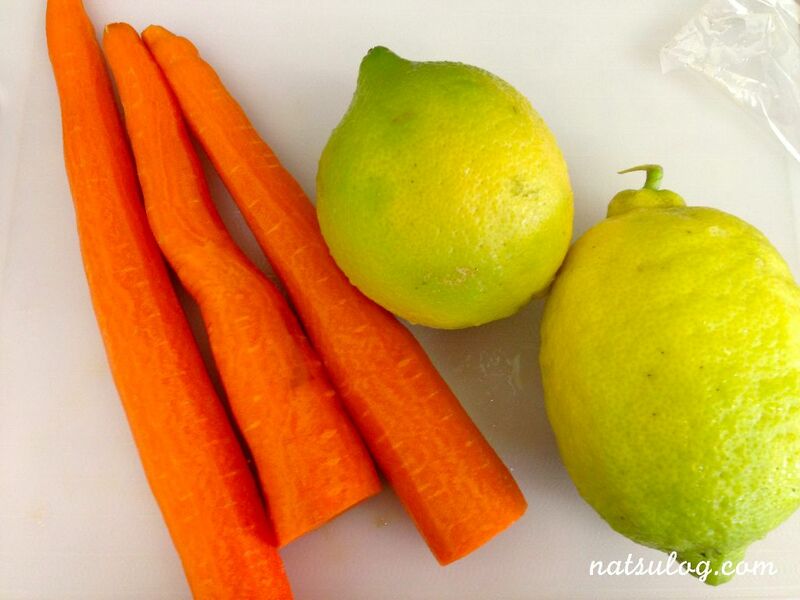 There are a few things you have to be careful when you eat carrots since they contain an enzyme which destroys Vitamin C. This enzyme has a low tolerance for “heat” or “citric acid”, so it is better to heat carrots or to have them with lemon or vinegar. 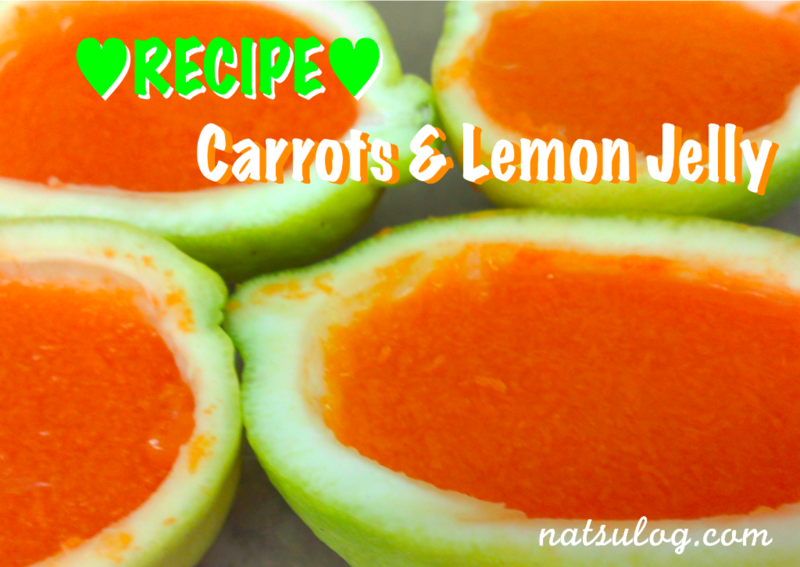 Heating carrots will also increase the amount of β-carotene we absorb in our body. 1. Wash lemons and cut them in half (if you use them as a container) and squeeze lemon juice. You may take off all the thin skins inside the lemon. 2. 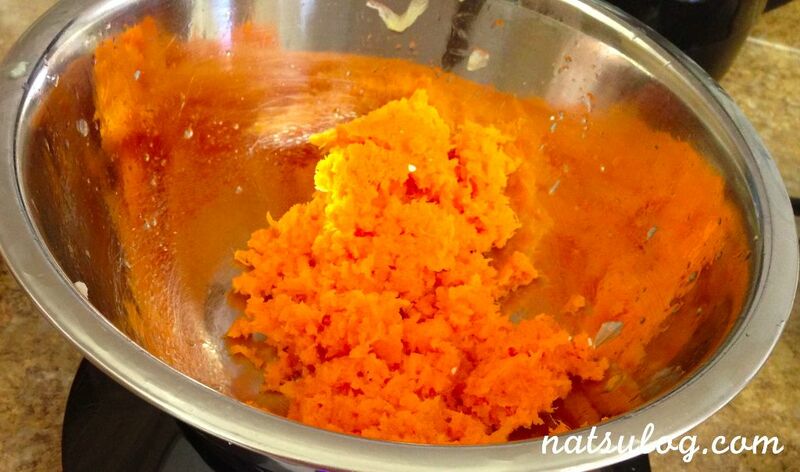 Wash carrots well and grate them. To shred them fine, I recommend to use this grater (the picture below). You may use a cheese grater as a substitute for this. I like the fiber texture in the jelly, so I like to grate the carrots. But if you don’t like the texture, you may boil carrots with a little water until they get soften and puree them with a blender. 3. 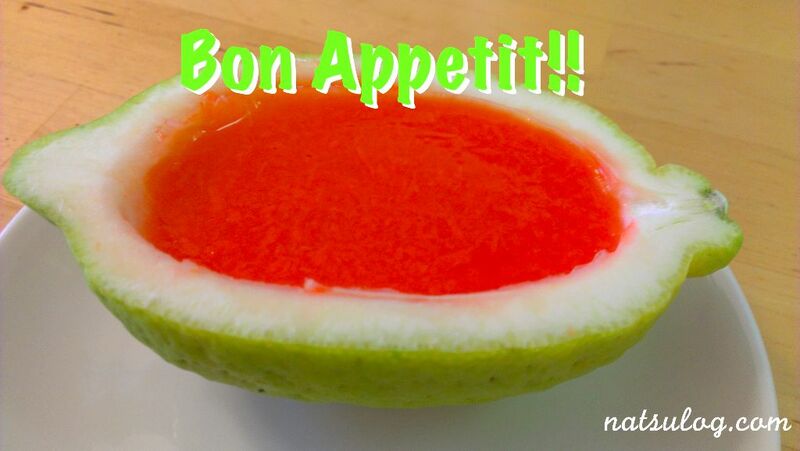 Put gelatin powder into a bowl and add 2 Tbs of water. Leave them for a few min to let the gelatin powder absorb the water. 4. 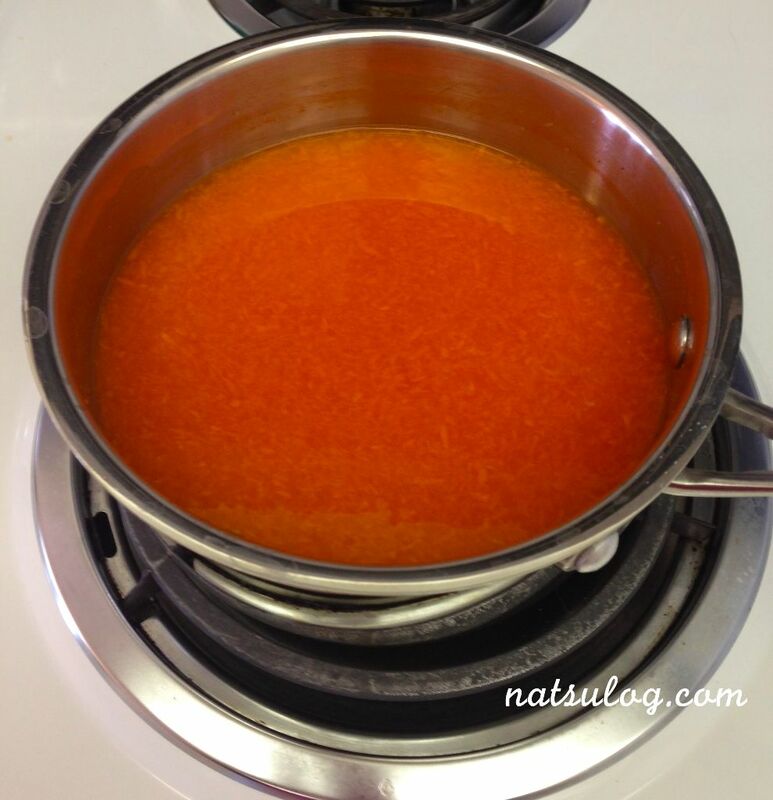 Put “1”, “2” and 1 1/3 cup of water in a sauce pan, and add sugar. Cook them over low heat for about 5 min and stir well to dissolve sugar. You will check the taste here. If you like sweeter, you may add another 1 or 2 Tbs of sugar. 5. Turn off the heat. Add “3” into “4” and stir them very well. 6. 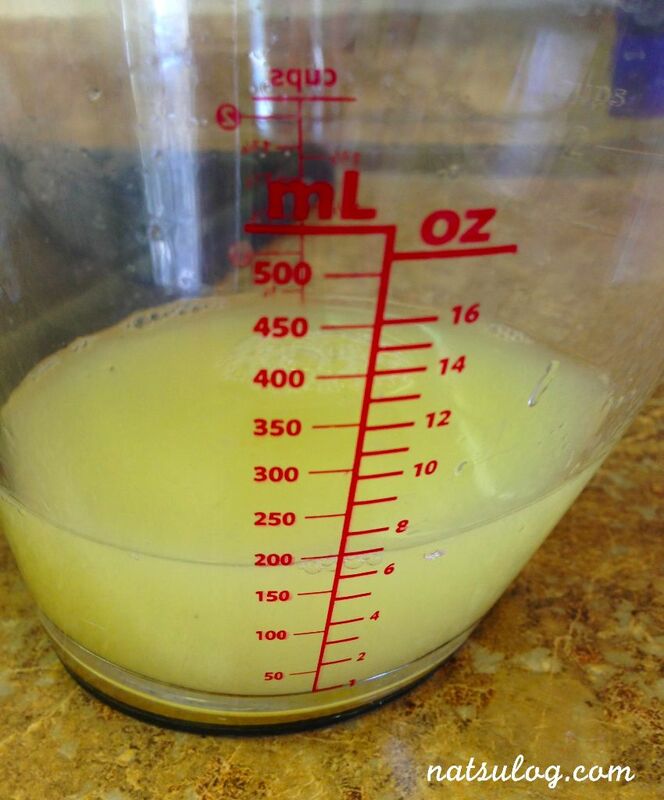 Pour “5” into a container and keep them in a fridge until they get harder for about 3 hours. I also like to keep them in the freezer and eat them frozen!! This would become similar to a sorbet. Hmmm… yummy!! I think this is really refreshing and thus, good for summer 🙂 I also like this orange color! !